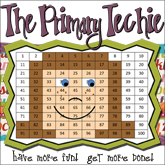 The Primary Techie: Printable Watch, Think, Color Games! 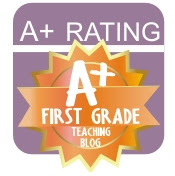 So, I recently got some feedback on TpT that got me thinkin'. A teacher said "I hope they fix my projector soon because I can't wait to use these Watch, Think, Color games with my class." I felt for her! I have been without my projector and it really bums me out! But, this comment got me thinking - why not print them? I made a few sets and used them with my early finishers. THEY ARE GREAT! Open a WTC game and choose print. There is an option that says "Full Page Slides". Click that and set it to "6 Slides Vertical". It automatically went to "frame slides". Framing the slides will give us lines to cut on. I printed the slides and laminated the pages. Cards printed and ready to laminate! I LOVE lamination! Oh wait! I didn't want any cheaters (not that I ever have any of those in my class) to peek at the finished picture and color it without watching and thinking! 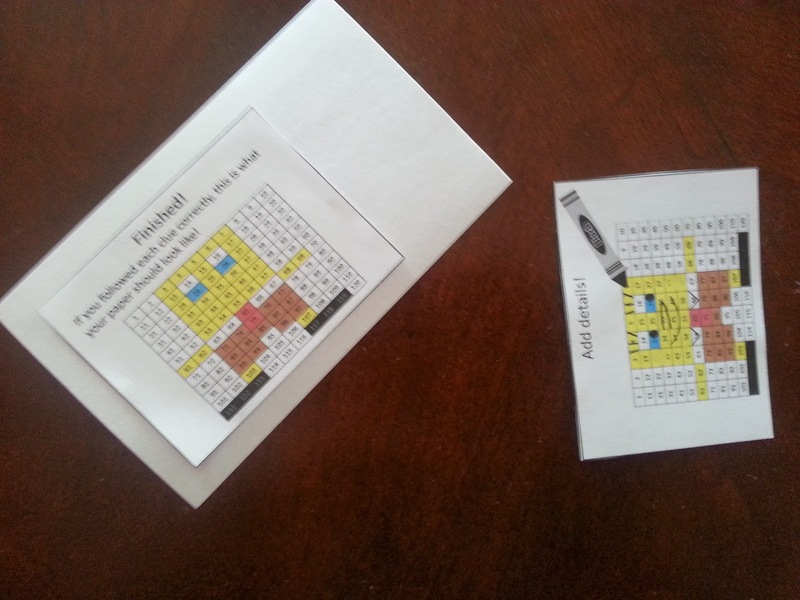 BEFORE I laminated, I cut out the last slide that shows the finished game and glued it on a note card. If my game had a "This is what your picture should look like" and a "Let's add details", I glued them on each side of the card. THEN I laminated! 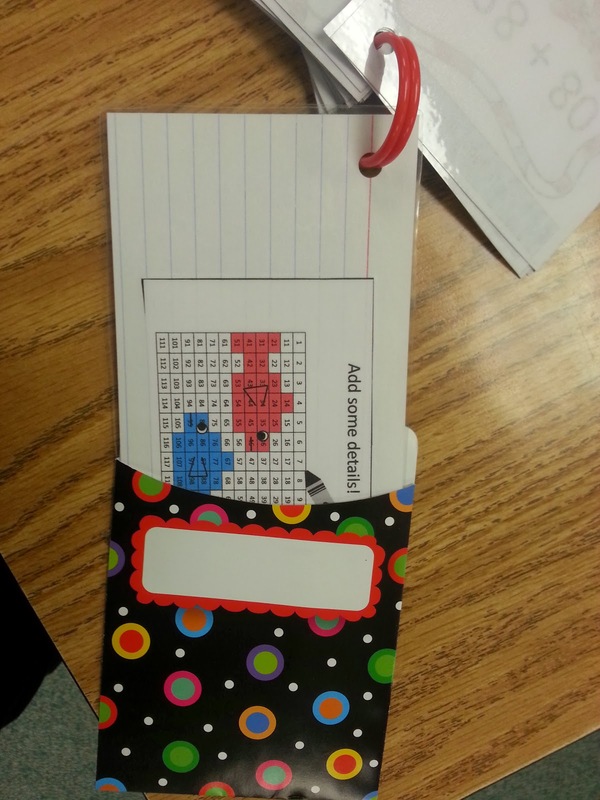 I cut out the cards and hole-punched one corner. I also punched the corner of the note card. I attached all the cards and the note card to a chicken ring. I slid the note card into a library pocket to keep it a mystery. Card can slide out of pocket to "reveal" the picture! 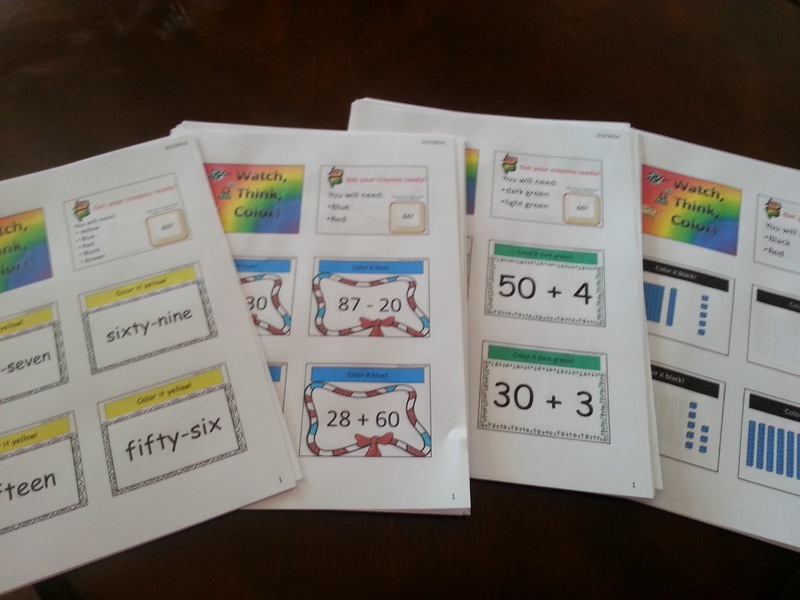 I made several sets with a variety of skills and added them to my independent math stations. My kids were SO excited to try them out. This student was working on adding and subtracting multiples of ten. I reminded him to watch the number in the tens place carefully. He told me that he was just using the hundreds chart like a number line - finding the first number and then counting the rows above or below by tens because each row was worth ten. What a little smartie! I was so proud of my little mathematician! To make these stations, I just used my Watch, Think, Color games. 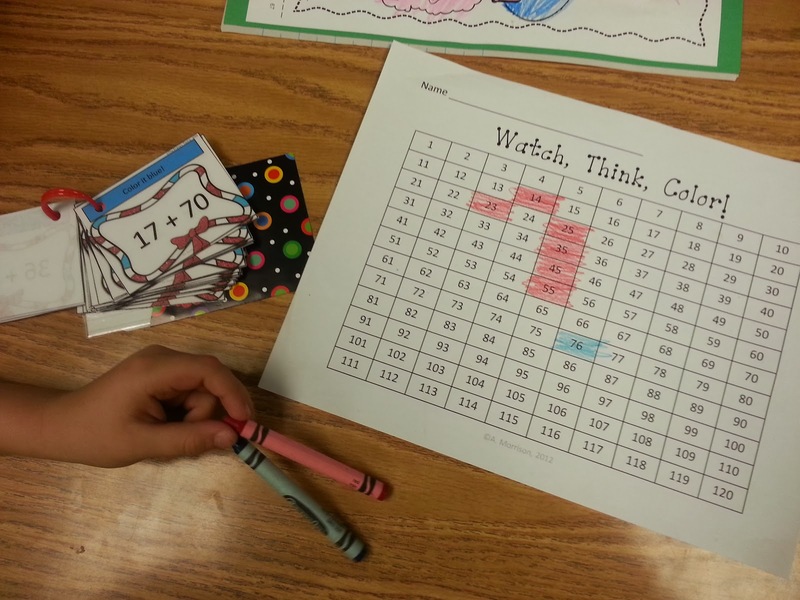 These games come in a TON of skills so it is super easy to differentiate instruction. You could even use different colored rings for different levels. Ooh! I like that idea! Oh great! Now I am going to have to go change my rings! It will be worth it! 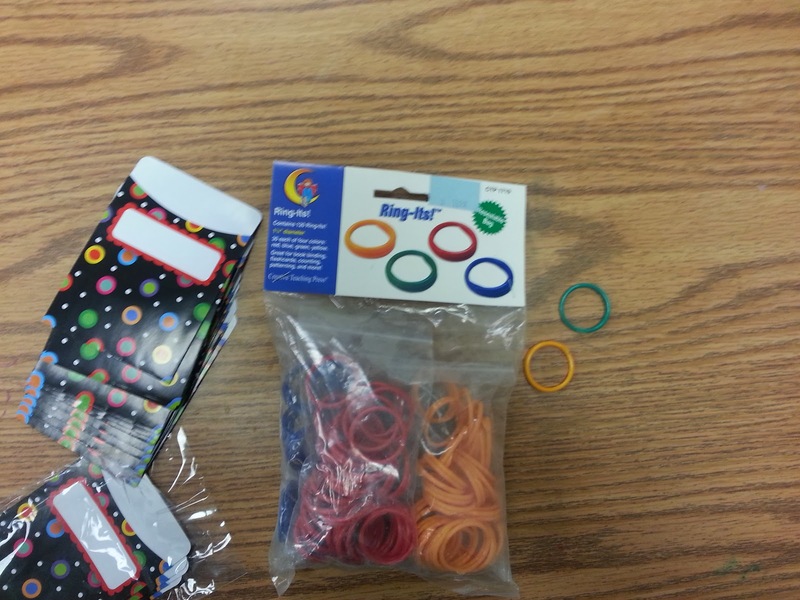 I also used library pockets from Creative Teaching Press and chicken rings. 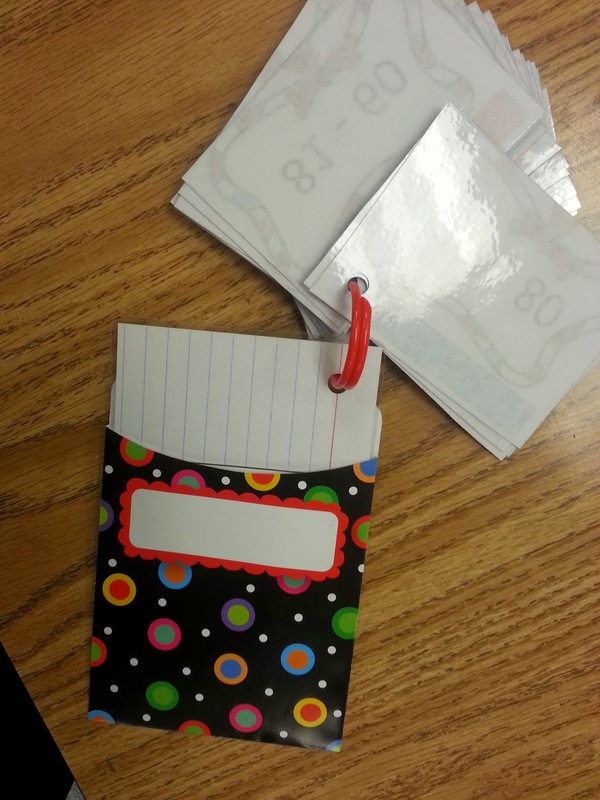 These were easy to make, are easy to store, and offer lots of math practice. If you don't have any Watch, Think, Color games but want to try this out, download my WTC freebie. It has several skills included. I'm speechless. This is an incredible idea! 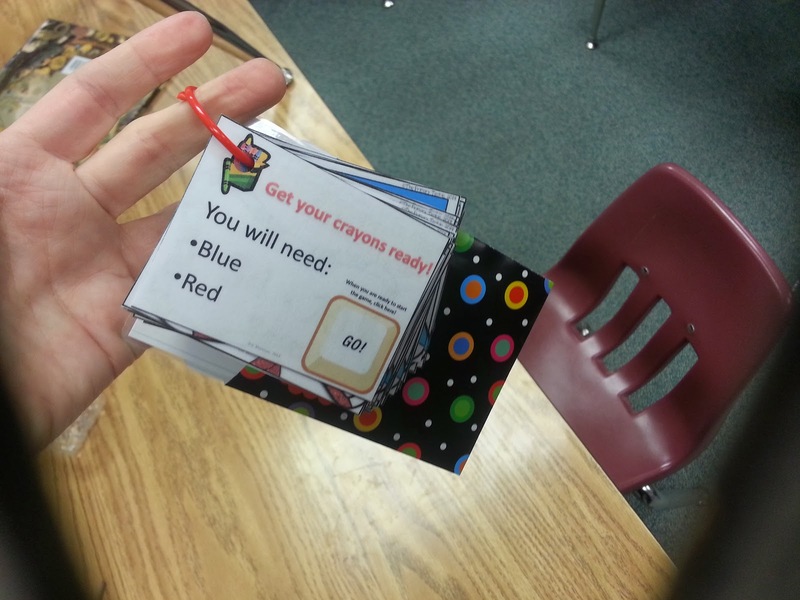 I (and my class) love, love, love your Watch, Think, Color games. I better order extra laminate! I can't wait to do this. Such a great way to differentiate! What a FABULOUS idea...and now my stations that aren't computerized have become more exciting and wonderful for those that are utilizing them that day! You're marvelous! Thanks! Wow Wow Double Wow This is a great idea. Time to buy more lamination film. Thanks for the idea! Spring Break Wrap-Up, New Work Space! MOVE ITs are Movin' on Up!